Korman House. Photo by Matt Wargo. Architect Louis Kahn Ar’24 Hon’71 is best known for his large public buildings: Yale University Art Gallery, the Salk Institute in La Jolla, the Kimbell Art Museum in Fort Worth. But he also had a long-standing interest in designing homes. In fact, he completed nine of them over the course of his career, all of which still stand in the Philadelphia area. 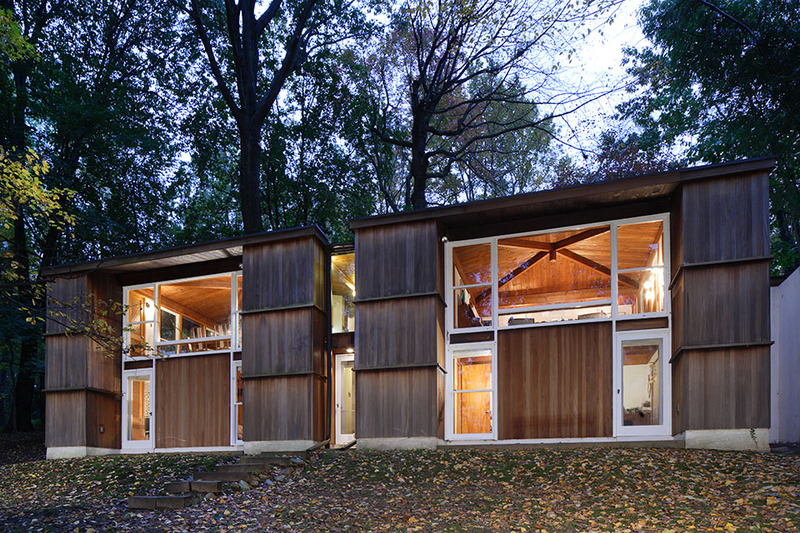 Adjunct assistant professor George Marcus and William Whitaker, curator of Penn’s Architectural Archives, published The Houses of Louis Kahn last winter. The book offers a deep look into Kahn’s nine houses, from conception and design to upkeep and ownership. Marcus and Whitaker also organized the exhibition Brought to Light: The Houses of Louis Kahn, which is on view in the Harvey and Irwin Kroiz Gallery of the Architectural Archives until May 23. It’s the first show focused on Kahn’s residential designs. 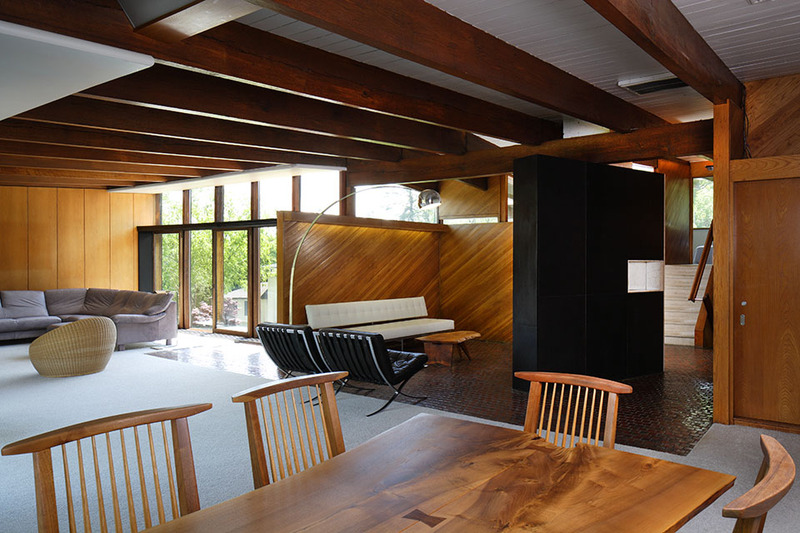 We recently spoke with Marcus and Whitaker about Kahn’s houses. 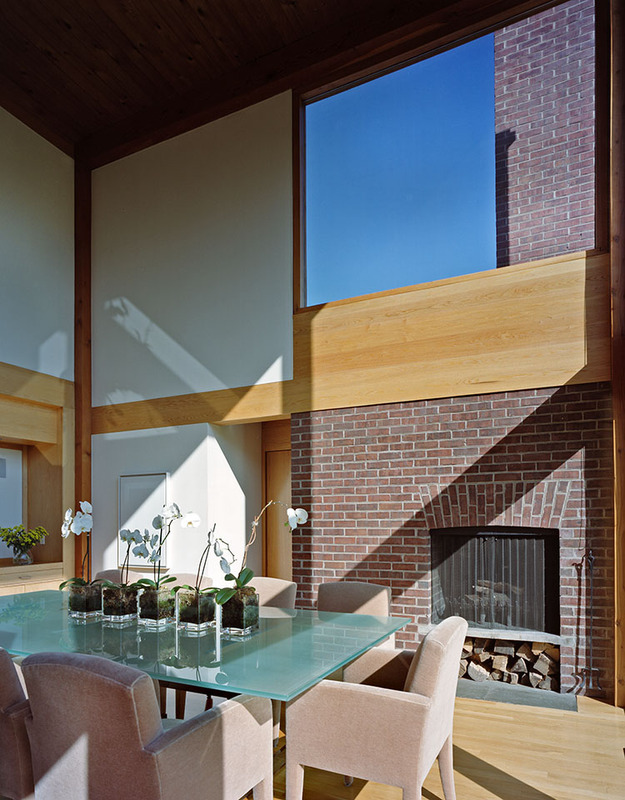 When people think of Louis Kahn, they don’t usually think of homes. Why haven’t we heard more about his residential designs before now? Whitaker: It’s partly because during the times in which he was working, the prevailing question was one of monumental civic expression. That’s what people really wrote about and talked about in the ’60s and ’70s, when Kahn was in maturity as an architect of international renown, and that’s what people continued to talk about for so many years. But what we were able to discover is that the houses were every bit as important to Kahn and he addressed them with the same seriousness with which he approached the art museums, for example. Did designing these houses help Kahn launch his career? Marcus: Kahn was 40 years old when he built his first house. It was one of his earliest commissions, and he built it for a friend. Whitaker: It’s typical of most architects that you have to start somewhere. It’s friends and family who are usually supporters. One humorous thing that we discovered is that one of his best clients, the Fishers, actually used the phone book to find him. Fisher House. Photo by William Whitaker. 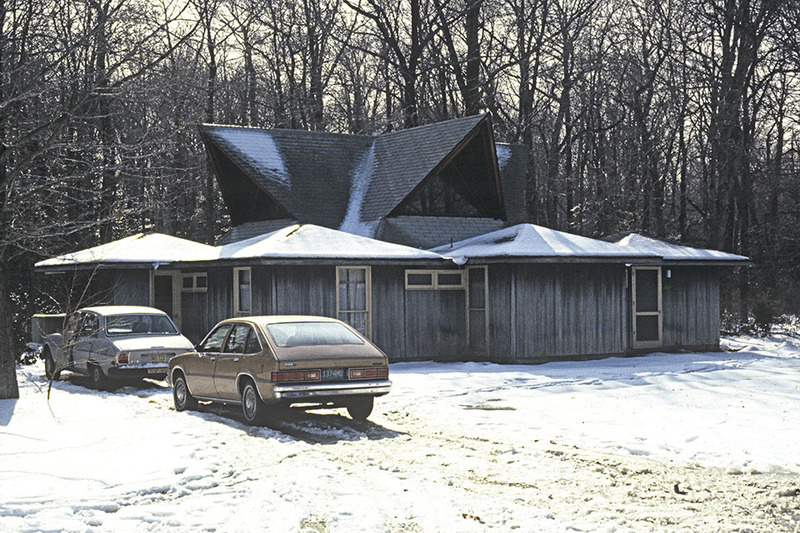 Did you find any themes or shared approaches that unite Kahn’s houses? Whitaker: There is always difference, and the differences are important: They show Kahn responding to a site and to his particular clients’ needs and desires. But they are in a sense unified because he’s always challenging the convention of what a home is and what a house is. There’s always this deep sense of inquiry. Marcus: Kahn grew up in Philadelphia in a row house. He never lived in the suburbs, he didn’t drive, and he was a person who wasn’t held back by a standardized idea of what a suburban house should be. What about these houses’ connection to his larger buildings? Whitaker: In some cases, they foreshadow the thinking that will develop in his monumental works. 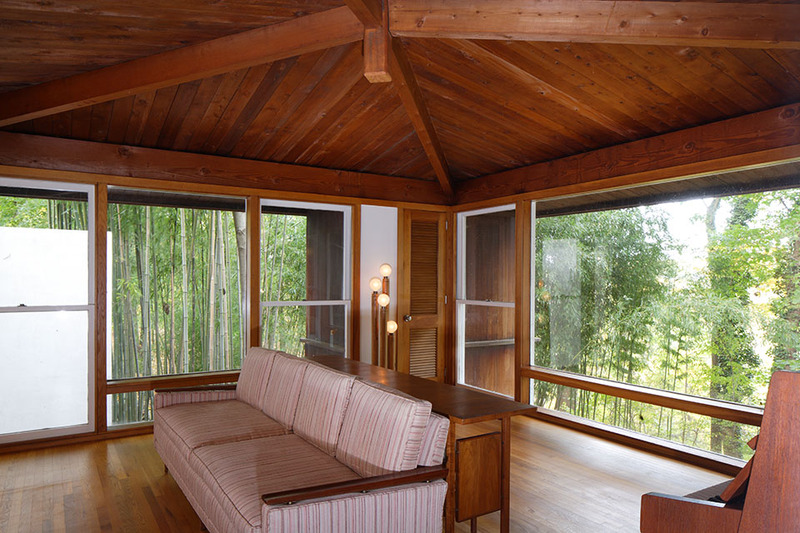 The Esherick house is really the first project we see him coming to understand how he can manipulate natural light. That’s a defining quality of his art museums and the work of the last 15 years of his career, and it emerges first in a house. That’s the first place he’s really able to experiment with it in a way that an artist who’s having a breakthrough can. Often the houses allow that sense of experimentation preceding the monumental work. Esherick House. Photo by William Whitaker. Why didn’t he create more houses if it’s something he loved to do? 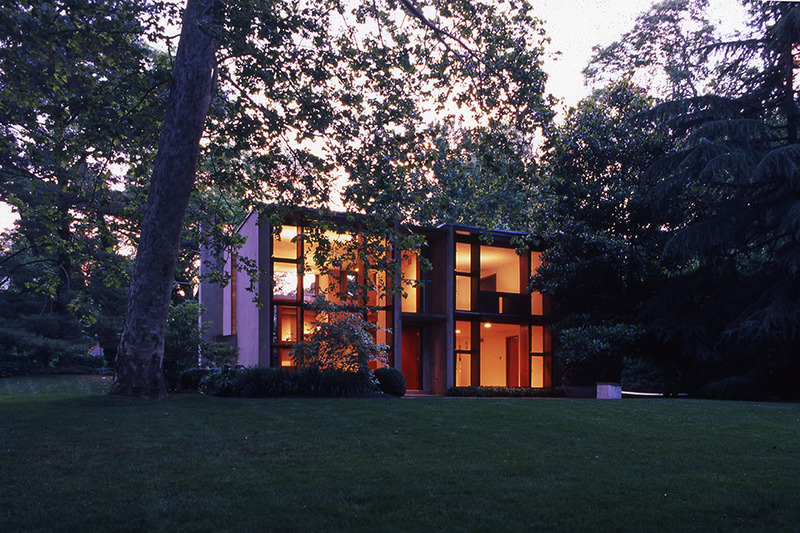 Whitaker: He never gave up designing houses and he continued to accept commissions for houses throughout his career. He never turned down a house commission because it was a way to look at the question anew. For him, architecture was one of the primary things that helped us understand culture. In Kahn’s mind, the house is an institution just as an art museum is. It was never a type of work he put aside. But at times, he got frustrated with the limits of house commissions. He would work with the clients and refine the design, make it more affordable, but he was not satisfied with the idea that the thing that drives great architecture is only the budget. It became very difficult to compromise that, in his mind. With all these re-designs, he was flexible at his own expense. He got paid $3,500 to design the Esherick house in Chestnut Hill and his expenses, not including his own salary or the overhead of the office, were $15,000, so he lost $12,000 on that job. It was a house that cost $35,000 to build, so the design fee alone was roughly half the cost of the house, which is an extraordinary thing. Clever House. Photo by Urs Buttiker. Where do these houses stand in terms of preservation? Whitaker: Some of the houses are protected, some are not, and some are quite threatened. The Clever House in Cherry Hill is a very experimental house from the late ’50s/early ’60s. It’s been essentially impossible to access that house for almost a decade now. The concern is that the land is very valuable in that area. If the people who own it need to sell it quickly, there may not be a response to that circumstance that allows the long-term preservation of the house. It could be sold so quickly and torn down before anyone knows. Although that’s all speculation. Marcus: Every time a Kahn house comes onto the market, a similar issue is brought up. The Ozer House just went on the market this week. We don’t know what’s going to happen with it. 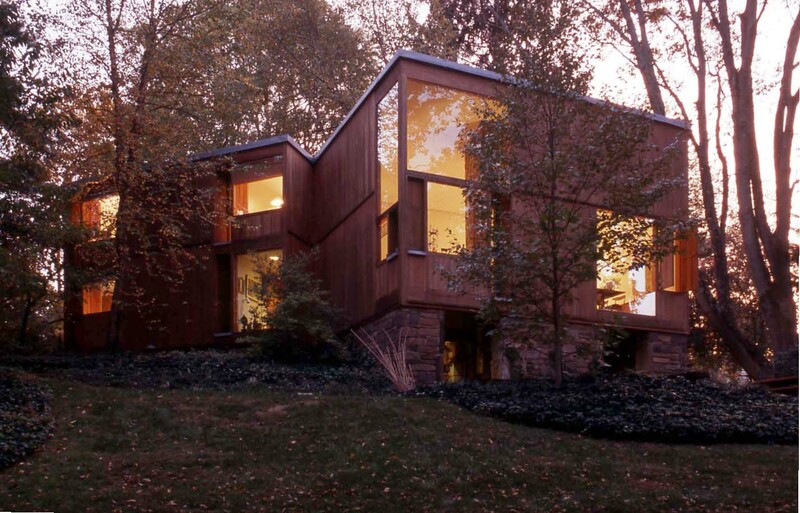 But two of his houses have historical designations: the Fisher House and the Esherick House. And all nine are still used as private homes? Whitaker: Yes. In fact, two still have the original families living in them. Just a few years ago, it was closer to four, and around a decade ago, about six or seven. Four or five of the houses are fairly open for visitors by special arrangement. But I’m sure there are students from all over the world who walk up to the front door with their backpacks and ring the bell. There’s never going to be any stopping of that, and that’s probably a good thing. Shapiro House. Photo by Matt Wargo. The Shapiro House living room. Photo by Matt Wargo. The Korman House living room. Genel House dining room. Photo by Matt Wargo. 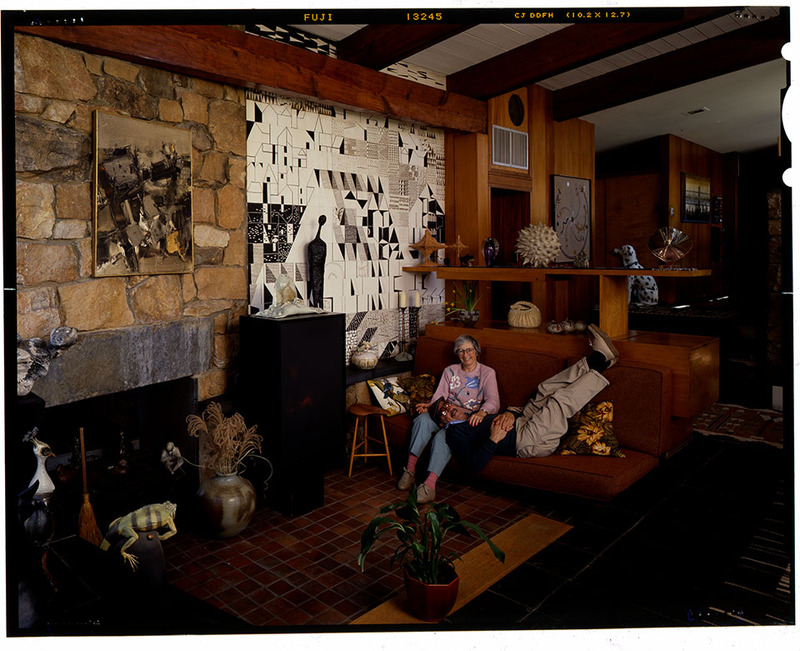 The Weisses in their East Norriton home, 1991. Photo by Ralph Liberman. I am writing to let you know that after years of neglect this treasure has been listed for sale. It would be a travesty to see it torn down. Listing info is below. Please share this information with like-minded individuals. Let us hope a qualified buyer steps forth! Holy cow, the natural light and the hardwood. What a place to live!